When I was in Japan a few years ago, I was astounded by how many little Italian restaurants and pizza places there were. I swear there was one on every corner (and they were good). I realized then that every place I've ever been had a wealth of great Italian food, and that it is one of the most widely accepted and appreciated cuisines internationally. Especially pizza! I mean, who doesn't love a good pizza?! Or even a bad pizza really. So like the rest of the world, the 727 area has a great appreciation for the Italian food, wine, and culture and here are some of their best and most authentic Italian restaurants and eateries in St. Petersburg, Clearwater, and the rest of Pinellas County! This place is by far the best-hidden gem my Mom and I have found. I have taken everyone I know here, and we've been treated with the best service and most authentic food. This is not your typical Italian. They specialize in authentic Venetian cuisine including lots of fresh seafood, pasta, and creamy sauces which you actually won't find in most of Italy. The wines are some of the best and most unique I have had for the price and the staff is so incredibly helpful and welcoming that it truly is a little slice of Italian heaven. They will take you through the wines, the Cicchetti (Venetian appetizers), and your meal with kindness and knowledge that is hard to come by. It is located just past Ruth Eckerd Hall in Clearwater, so if you're looking for an amazing pre-show meal that won't break the bank, I highly recommend. Just try not to do it in a rush or you may miss some of the delightful hospitality which is as strong as their changing menu. Beau n Mo's Italian Eating House St. Petersburg, FL is a Chicago style Italian Steakhouse off the beaten path, much like its cuisine. It is a local favorite both for the surf & turf and the ever-rotating menu. They like to change it up for fun, but there are always the standard Italian staples such as pastas and parmesans. His signature dish is the "Tomahawk Chop," a 40 oz Intact, Frenched, bone-in Ribeye (Go Noles am I right?!). They also have a great happy hour (at the bar only) that includes a lot of small plates and sandwiches as well as unique wines and craft cocktails. Chef Beau likes to get to know his foodie family so he has an open door policy when it comes to the kitchen where you can stop by and say hello. "Fun & Swanky is our vibe and we want to share Chef Beau's fun love of cooking with our guests." Another personal favorite of mine, Bella Brava is one of my most frequented spots in the Downtown St. Pete area because of its great food, incredible happy hour, and consistently good service. If I had to pick a last meal, it may very well be their astounding Lobster Mac ft black truffle breadcrumbs. But everything is fantastic, from their bruschetta to their seafood to dessert. Their pastas are a huge favorite as are their appetizers and smaller plates as well. Bella's Happy Hour is also a local favorite as it is from 11 a.m. - 7 p.m. every day, and features $3.99 wells, $2.99 beers including local craft drafts, and house wine and sangria specials. Molto bene! Positano's is a Palm Harbor favorite that does everything from woodfired pizza to handmade pasta, antipasti (appetizers) to insalate (salad). They do lunch and dinner as well as seasonal specials including seasonal wines, and the list is extensive. 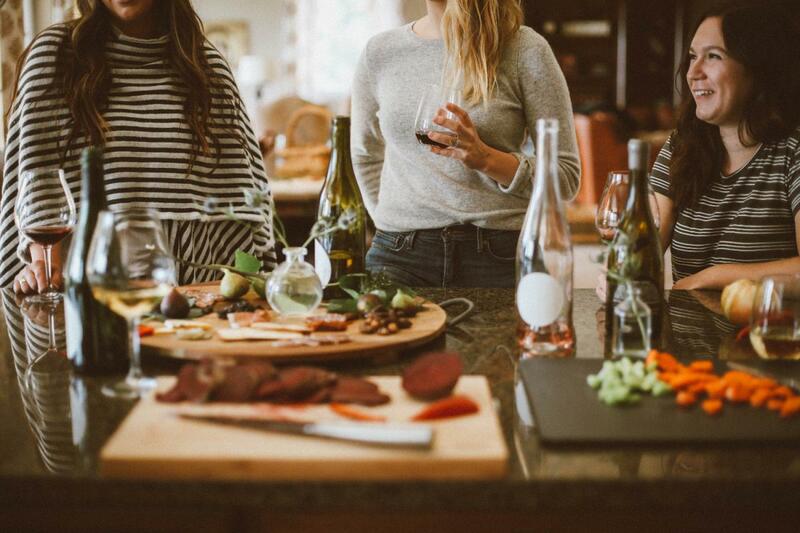 Like true Italians they also feature many aperitifs (before dinner drinks) as well as dessert wines, cordials, and all other after dinner palate cleansers. The whole shebang! Positano's even does catering, in-house events, and corporate gatherings and describes their space as "an intimate yet lively dining experience for your party." So whether you're looking for a quaint date night venue or an exciting dinner spot to drink with friends, this is the place for you! Similarly, Da Sesto Italiano includes all of the significant portions of a traditional Italian meal from aperitif to digestive and lots of courses in between. Like a true Italian meal, it is not meant to be rushed. They do a create your own antipasto with an extensive choice of small plates and salted meats. They have an even more extensive list of pastas from freshly sauced to baked right out of the oven. They also do all the meats from seafood to veal. I have never seen so many incredible menu choices (I can barely finish this article without getting a snack). They also have incredible wine choices and after dinner drinks including coffee and tea cocktails. While the food menu is out of this world, this is not the place you want to fill up too much to skip out on dessert as their dolce and digestifs are to die for. They also do catering and take reservations for larger parties since it does get busy since Da Sesto is the besto! If you're looking for something less sit-down and more snacks and sandwiches, this place is a goldmine! Mazzaro Coffee & Italian Mrkt is as close to a true Italian market as it gets. Mazzaro's consists of a bakery, deli, espresso bar, and market for any and all gourmet imports including the best wines and beers. It is so authentic that it gets incredibly hectic at certain times as people flock to prep for their next meal. They bake their own breads and make their own pastas and everything they serve is just now Nonna would have wanted it. It is not only a great place to grab your freshest ingredients but also taste their best meats and cheeses either on their own or in a sandwich. They do serve some hot foods like soups and subs as well but you won't be disappointed with a spread of your own choosing. Especially if you're looking to picnic on their patio where on the weekends there is often live music and dancing. 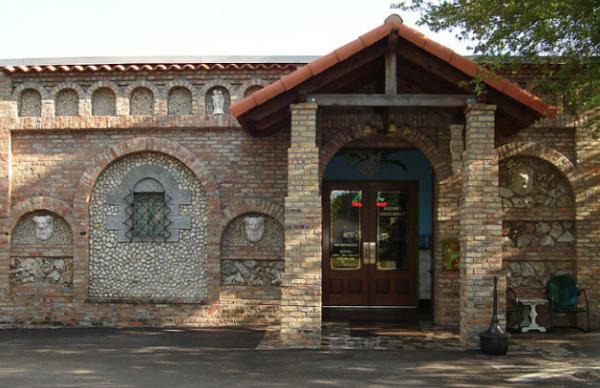 A true Italian gem in the heart of St. Pete. Whether you're looking for budget, banquet, or bang for your buck, these are the places you'll want to check out the next time you have a hankering for Italian. They all have incredible food, wines, service, and true Italian hospitality! Not to sound like an Olive Garden ad, but they really will treat you like family. You'll leave saying "mi piace" for sure! So andiamo on over to your closest location and mangia all the Italian cuisine you can handle! And for more great restaurants in the rest of The 'Burg, the beach, and more, check out 727area. And be sure to register, it's free!